On this page we've listed backstamp dating guides for many brands we deal in. If you want to do a quick search, press CTRL on your keyboard, followed by "F". (Apple + F for Macs) A box will pop up and you can enter the search term. 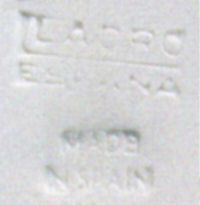 If you are looking for Lladro, for example, type that in the box and it will bring you to the spot on the page. We try very hard to give credit to site's information that we show, but occasionally our buyers send us information, so if there is anything that needs to be linked, just let us know! Variations: The TMK 6 variation isn't shown below, but it's the same as above with the addition of a small copyright symbol. 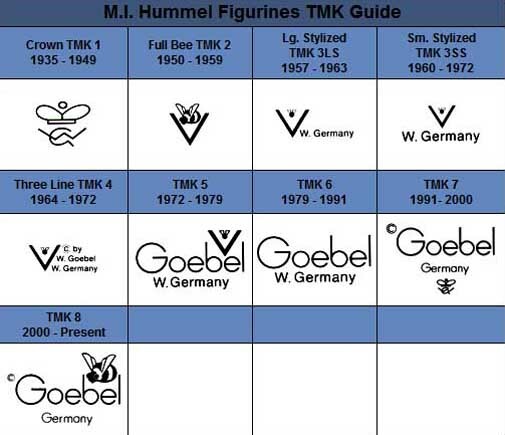 http://www.nancysgifts.continentalimport.com/hummeltrademarks.html After World War II ended the United States Occupation Forces allowed Goebel to begin exporting figurines. Many variations exist for this stamp, but all were marked "US Zone," signifying that the figurines were made in the occupied zone of Germany. All these marks should be treated as TMK1 (or Crown) marks. 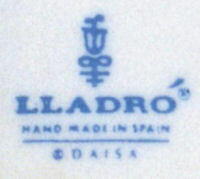 The first Lladro trademark was impressed into the porcelain. This mark was used from approximately 1960 to 1963. 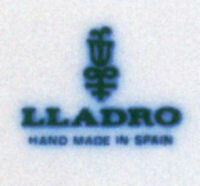 The second Lladro logo was also impressed into the porcelain. 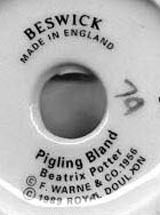 This trademark was used from approximately 1965 to 1970. 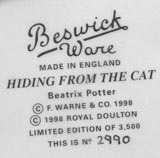 The third Lladro mark was changed to a blue backstamp which featured the now famous Lladro bellflower. 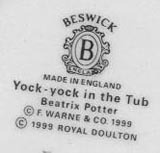 This trademark was used from about 1971 to 1974. The missing accent over the letter "o" was intentional. 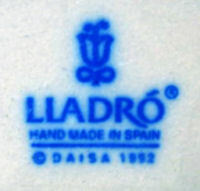 The fourth Lladro marking or backstamp was used from approximately 1974 to 1977. 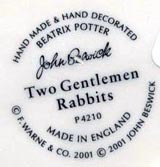 The accent was added as well as a trademark sign. 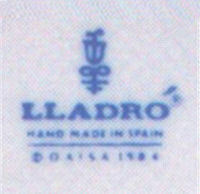 The fifth Lladro stamp was used from around 1977 to 1984. It added the copyright acronym DAISA which stands for Disenos Artisticos E Industriales, S.A. 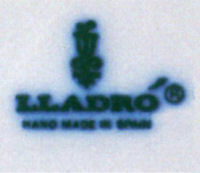 The sixth Lladro backstamped logo added a copyright date and was used from about 1984 to 1989. 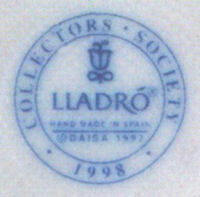 The seventh Lladro marking was introduced in 1990 and is still currently in use. 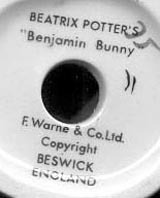 It featured a revised bell flower logo and typeface. 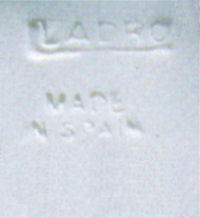 Another Lladro backstamp that you'll see from time to time is the Lladro Collectors Society mark. These are used on "Members Only" figurines. 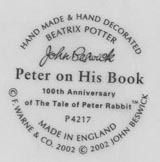 The difference between this and the 1902-1956 mark is noted in the lion and in the length of the lines between "Royal Doulton" and "England." These are the ones we most typically see. Beware of imitation Meissen. Imitators began copying Meissen's designs since the beginning. You can not rely on marks alone. Knowing where and how the piece was obtained (provenance) will help. Z Scale - Extremely small Trains, they make several Briefcase type trains. Primarily Made by Marklin and called Mini Club. N Scale - Slightly Larger than Z- Scale and much more popular. Manufactured by many different complains such as Trix, Atlas, Auhagen, Life-Like, Con-Cor and Bachmann. HO Scale - Very common trains size the is "Half O" gauge. This size became popular because it was easier to find room to set up the smaller trains. Marklin HO scale - Actually uses a hidden contact system in the middle of the track which looks like little points in between the rails. S Scale - S Scale was adopted by American Flyer and was promoted as real looking track, compared to Lionel's Popular O gauge track which has three rails. O Scale - The most common Train size found, made by Almost all Toy Train Manufacturers. 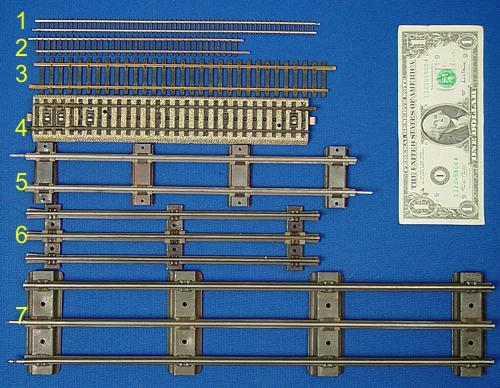 Standard or Wide Gauge - Large Track Used for Standard Gauge Trains made by Lionel and American Flyer Wide Gauge trains. **The above content is from ibuyoldtrains.com. We are in no way affiliated with this company. We often scan the internet to find well-written, helpful information on collectibles and post it in one place for collectors. We claim no copyright over this particular content. There are many "official" locations that a pin might come from, and if you are purchasing an Official Disney Pin it should come from one of these locations. If the pin is coming from another location or country where there is NOT a Disney Resort then the pin may be counterfeit or a "scrapper". Always ask a seller if the pin was purchased from one of these official locations before you purchase the pin. Check and see where the seller lives, if they are not from a resort area ask questions about how they obtained the pins they are selling. You can purchase official Disney pins from retailers, grocery stores and schools as a part of special promotions when they have Disney book collections and products for sale. You will also find Disney licensed pins for promotional use in many cereals and with other children's items. These pins can be traded at the resorts and on the internet sites as long as they have an official Disney backstamp. Here are some common terms used by traders and collectors that you should understand when buying a pin. You will see them in a pin's item description and they may be helpful in determining the pins actual worth, what location and collection they may have come from, and if they were a part of a limited production. On the back of each pin there is a stamp that gives basic information about the pin. Some will just say Disney with a trademark logo and some will have more info. This stamp is required for the pin to be an official Disney trading pin and without it you can not trade the pin with a cast member at any resort. Year produced, edition number, limited edition, cast exclusive, cast lanyard, gift with purchase, resort sold at and any other information that might make it special or unusual. Ex. of backstamp with extra info. When a set of Mickey Mouse ears are hidden in a picture or landscape and it is not really part of the picture it is called a "Hidden Mickey". These hidden Mickey ears tend to be found on cast lanyard pins to signify you have found a special pin. They are solid color Mickey ears and are usually silver or gold and found on a corner or edge of the pin. All Disney employees are called cast members because every Disney Resort is a continuous show and every employee who works at the resort on any given day is a member of this giant working cast and is responsible for keeping this show going. These pins are sold only to cast members of a Disney Resort and are usually in a limited edition. Each cast member is also limited to buying a few pins, about 2 - 5 pins depending on the edition's size. When a cast member buys a pin they present their cast ID to the cashier and the pin being purchased is registered in a computer to keep track of how many pins of that type that cast member has purchased. That way no one cast member can buy more than their allotment. Some cast member pins come in hard plastic boxes and others will come in a plastic bags with a one staple closure. Some pins will have the traditional black Mickey ear pin back and others will have the metal pin back. The pins that come in the hard plastic boxes are usually the more expensive and are limited released cast member exclusive pins. Some cast member pins are sold on illustrated cards wrapped in plastic and there are framed pin sets as well. Most cast member pins are sold in limited editions and are exclusive to the resort where they are offered. The edition size and the fact that it is a cast member exclusive is listed on the back along with the backstamp. This is a plastic wrapped pin card set where Mickey, Minnie and the Word Flashback are the pins. This is a cast exclusive pin set and was a limit of 2 per cast member. If a cast member works on a holiday or special event day they are given a complimentary pin. These pins are also given out during cast work fairs as prizes. "I worked there" pins can be hard to buy because a cast member has to have worked on that holiday at the resort and want to part with their pin for a non Disney-working individual to get one. They are not for purchase and are not available to cast members who did not participate in that event. This tends to make them rare and expensive. Holiday party pins are usually not free and are for purchase only in limited amounts during the event like other cast member exclusive pins. Pin of The Month. Each month cast members are released a new exclusive pin. Some are part of a series (like trashcans of WDW or DLR) and some are not. They are known as P.O.M.s. These pins are released at the beginning of the month and are available in a limited quantity to each cast member, usually 2-5. depending on edition size. These pins are exclusive to the cast members at the specific resort where they are offered and are usually released in limited editions. These are pins that may have an official release date but the image of the pin, or the pin series, has not been released to anyone. Even the cast members do not know what the pin will look like until they open the box to place them on the shelf! Sometimes a pin series will be individually wrapped in cardboard so you don't even know what you will receive until you unwrap it. Sometimes there is more than one version of the pin being released and sometimes not, it is a surprised when you get there! There is little to no info. released about these pins beforehand and no one knows how many releases there will be in any particular month. These pins will usually have the word Surprise Pin included on the backstamp and usually features a low L.E. size. Due to their L.E., guests may only purchase two per day. Some pins were sold and traded as error Surprise Pins but are counterfit. These are the surfboard series pins that have the word Surprise spelled incorrectly on the backstamp. Please see counterfeit pin below for more info. Some pins are released in a limed number. The back of these pins will say L.E. and then the total number in the edition. LE have been as low as 1 as high as 5000. A true L.E. will always have the total edition size listed on the backstamp. 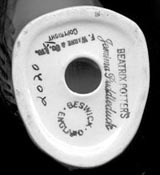 Some counterfeit pins have been produced that state L.E. without the total number produced. When a pin is released in a Limited Edition a guest or cast member may purchase up to two pins of a particular style on any given day. Some L.E. pins are only released in one location throughout the park so this guideline can be enforced. These are pin models that are presented as ideas for new pins. They can be in a few different styles or poses or colors. A decision is made from these models and the pin can then be perfected for manufacturing. These pins are auctioned off from time to time on Disney Auctions either as a series or as individual pins. These pins have also been known to be found on pin trading boards at the resort trading nights. The backstamps of these pins will have the Disney trademark as well as prototype or artist proof (AP) clearly marked. Every pin that has been produced started out as an Artist Proof and these pins can be expensive when they come to auction. They are typically the first 20-24 pins created during manufacturing and are very colorful and detailed. Sometimes these pins never make it into the market and they are often sold at high prices due to their rarity. One of every pin created is said to be kept by Disney in a permanent Disney pin archive at the Walt Disney Studios in Burbank, California. These AP pins also are the pins that scrapper manufactures can use after the production is over to re-create pins for quick sale. Gift With Purchase. Disney resorts like to offer gift with purchase pin series during parts of the year. The way it works is that there is a Map Card and usually 6 pins. Each pin has a spot on the card. Once an month a new pin is released and with a $20 pin purchase the pin is free. These are not a LE set but once the pin run out of stock they do not produce more. There is not a definite count on the number of pins produced but they are not reproduced by Disney after the GWP series is over. This series has 5 pins, one for each land. The map card is 8.5" x 11. When the series is done you can frame the set or put it in a pin book, but they are always a nice addition to any pin collection. Continuing the Pin Trading Tradition Pin. These are free pins given to cast members to give to guest that they feel have shown a positive attitude in Pin trading. These are given randomly and not all cast members are given these pins to give away. These are not L.E. pins, but they can be a fun prize for a hard day of pin trading if you are lucky enough to be given one! These pins are sold at multiple locations within one resort on the large open pin racks. They are not limited editions and can be produced for years. Some rack pins can be sold at more than one Disney resort with different backstamps and prices. These pins can be reordered and reproduced as long as there is a demand for them. 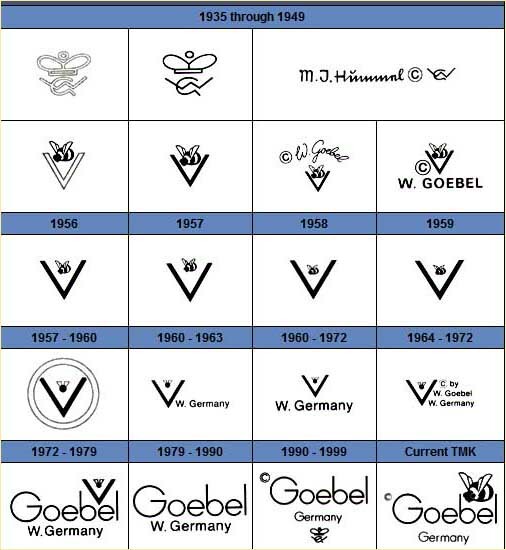 At the end of the calendar year the backstamp of the pin might be changed to reflect the new year, but the pin details will remain the same. Piece of History pin. At Walt Disney World Resort a series of pins were produced featuring an attraction along with a piece of the attraction, that was removed either during refurbishment or when the ride was dismantled, displayed on the pin. Guests could then take a piece of Disney History home in a small plastic bubble located on the front of the pin. These pins are an L.E. of 2500. Disney Auctions and eBay have a site where they sell limited edition pins at both fixed auction prices and run standard auctions that offer internet exclusive pins. They are often elaborate and larger than what you can find at the resorts. This site also sells the Prototypes and low numbered L.E. pins. Sometimes there are even GWP Pins available through this web site. You get a free pin for each pin you purchase and if you win multiple auctions you receive multiple free pins! These GWP P.I.N.S. are L.E. as well and are often sought after by collectors. At the Disney Resorts Cast Members wear pin lanyards so you can trade pins with them. You give them an Official Disney pin for a pin on their Lanyard. They have to trade with you if you present them with an official Disney pin. Disney produces special pins series that are not for sale and are only available trading with a cast member. Some are produced more and some are produced less. These pins can be very rare and very expensive. You have to be very lucky to find one. They are released in exclusive series at each different Disney Resort. If you are lucky enough to live by a Disney resort you can buy an annual pass to get into the resort any time of the year. Disney makes special pins for these lucky individuals for purchase. They are usually limited edition pins, sold only in certain stores, and you need to show your annual pass to purchase the pin. Annual passholders are limited to purchasing two pins per day and these purchases are tracked via their annual pass ID number. There are also annual passholder dinning series pins. These are free pins that are given to annual pass holders who come and spend $20 on a meal at a Disney resort while supplies last. They are not always in an L.E., but when the pins are gone they are not reproduced and they tend to go quickly! These are pins that have two or more images on the pin's surface. When the pin is tilted back and forth the image changes to show one picture when looked at one way and show another when looked at in another or may give the illusion of movement along the surface. Ex. Ursula looking nice, and when tilted, Ursula is looking angry. Fastened Rubber Elementwhich addsExtra Dimension. This term refers to any rubber shaped object that is attached to the pin to give it dimension. This refers the feature of a pin that adds depth and is not flat in nature. It looks like one pin has been placed onto another to create a 3D look. The more features these pins have, the higher the cost of the pin. This was a promotional program started in the Summer of 2002 at WDW, and was retired in the Summer of 2004. You could purchase the bases and add ons at the Disney Resorts and the through the Cruise Line. These are self designed pins to reflect your style. You purchase a pin base and that base has pre-drilled holes that you can purchase add on charms for. These pin bases and their add on charms were once in abundance at all resorts but are not see as often anymore making them rare and sometimes expensive. The bases are traded in the resorts, but the add - ons are considered "non - tradable". If you see a pin like this it is not broken it just needs an add on! This base has one hole to add your favorite Disney character! This is a long running collection that releases great sculptures and pins. Each year the WDCC membership package includes a sculpture and a pin with the WDCC logo and character that is on the sculpture is on the year's pin. The WDCC also releases commemorative pins that reflect sculpture release events and conventions. These pins are both for sale and GWP pins and pin sets. From the French meaning partitioned. This style of pin's surface decoration is placed in specific sections using crushed minerals and pigments one color at a time. These are a heavy brass pin that has defined lines and are the most common "style" of pins found and the resorts. See Hard Enamel below. This is a glassy, opaque, decorative and protective coating that can be applied to a pin. When dry, this coating is smooth and glossy. These pins are shiny and smooth like a car's surface. Very similar to the classic cloisonne style but has a wide range of colors that can be used because it is not limited by the minerals being used. These are heavy brass pins filled like the cloisonne pins, and then sanded down into a smooth finish. They are beautiful and the hard surface is hard to disturb. These pins have the design stamped into the metal and then filled with enamel and baked. A final clear coat of epoxy is applied into a dome type surface to protect the surface. These are typically a thinner pin than the cloisonne style pin, but are a official Disney pin style. These pins are fuzzy on the surface. These pins tend to loose their "fuzz" easily when worn on lanyards or placed in pin books. Pins made from Brass zinc alloy and are of high quality metal. These pins are 3D and are of good quality in design. These are a typical form of counterfeit pins! Official Disney Pins that are Die Cast are heavy metal and are of good clean quality. Counterfeit die cast pins are light and are poor quality. Beware of most Die Cast pins, especially if they come in a small plastic bag with one staple! See counterfeit pin section below. As with any hobby, people will find a way to produce a counterfeit product that looks like the real thing. This portion of the guide is intended to help you determine if your purchase is counterfeit or low quality. The main criteria to judge whether a pin is tradable or not is that it must be a metal pin bearing the Disney trademark on the back that represents a Disney event, location, character, or Icon. Pin should be in good, undamaged, tradable condition. Only operating participant pins that show a Disneyland Resort or Walt Disney World Resort Affiliation will be accepted for trading. The rules also state that they may be changed at any time. If there is any doubt as to whether a pin is tradable pursuant to these rules, the trading Cast Member shall make the final determination. From what I have seen in the Resort, the vast majority of the time the Cast Member trades with the person pawing off low quality pins but some Cast Members will not. The Disney pin trading rules state that there must be a Disney backstamp on the pin to be traded with a park employee. In Sedesma, Spain a company has taken advantage of the vague rules and makes a low quality "metal" pin with the Disney stamp on the back that are replicas of true Disney pins. They are sold at low prices on Ebay and are marketed as good for use as traders in the Disney Parks. Please read the pin surface descriptions above. All of the pins listed have a smooth surface and a quality metal base. Sedesma pins are very easy to pick out of a crowd due to their light metal base and non - smooth surface. There is not a Disney Resort in Sedesma, Spain and Disney does not contract with this company to produce Official Trading pins for the Resorts. These pins are easily traded in the park by most Cast Members, but must be removed from cast lanyards when the first opportunity arises. The updated rules stipulate that the pin must be an operating participant of Resort affiliation and these pins have Sedesma clearly stamped on the back. It is an inexpensive way to get "park traders", but they are not official Disney trading pins and may cause problems even though sellers will tell you they don't. If you have never seen a Sedesma pin you may not believe there can be this kind of difference, but there truly is. A new trend is to print pins low quality or counterfeit colored metal pins and sell them as errors when they are really counterfeit. They are a very thin metal and have a Disney backstamp but have something printed incorrectly on the pin front or back. People will buy these pin thinking that they have a truly rare pin when in fact they are fake. You will see the backstamp printed upside down, L.E. 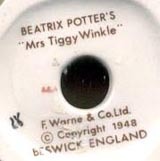 pins without the edition number listed, but you can often determine if a pin is a counterfeit by the weight of the metal. Official Disney pins have a heavy metal base and have quality colors that are partitioned. Counterfeit "error" pins tend to be made of a light and almost tin like metal and the colors are often muddy, run into one another, or are missing. Another type of "counterfeit" pin that is currently being sold in the market are "scrappers" or what one might call seconds. These are pins that should have been scrapped from an edition because of a defect or other error but instead were saved and are being sold on eBay at greatly reduced prices. Often times they look so much like the real pin you would not know these are fake unless you have the real pin to compare it to. These pins often come in small plastic bags with one staple as a closure and have a metal back or a round rubber back that is not the usual Mickey ears. These pins were not ordered by Disney and in fact were ordered by Disney to be destroyed and that is what makes them counterfeit. Another counterfit pin scam are from the production pin companies. They reproduce a pin after the production order has been filled for Disney. Pin molds should be broken after a production order has been completed but unfortunately they are not. The manufacturer changes the pin slightly and produces them for sale at a greatly discounted price. These pin also come in a small bag with one staple as a closure with a metal back or round rubber back. How do I know my pin is real? There is no way of guarenteeing a pin's authenticity unless you have purchased it yourself from a Resort. Always keep your receipt and pin backing card for your records. Always be careful of buying pins from countries where there is not a Disney resort or when the price is too good to be true. In our own country, be careful of people selling pins at greatly reduced prices who do not live by a resort or who tell you these pins are "not the prettiest but are great for trading." Also, be wary of bulk pin "grab bag" sales. Often when you order many pins for one low price you will receive low quality pins. Beware of multi-pin lots that contain all of the same pin or multiples of the same pin. Always ask specific questions if you are in doubt. If the seller has not answered your questions appropriately or is angered or annoyed that you asked then do not buy. Read the sellers feedback and ask the BUYERS questions if you are in doubt about their product. Caefully read their feedback. Often you can tell if they are selling quality pins by the comments made from other buyers. Look at the sellers responses to negative comments, is the seller rude? Read their return policy. Can you return your pins for a full refund, including shipping? Pin Pics lists possible secondary market pins on its database. It is very important to check any pin out on one of the two date bases below before you purchase any pin at an elevated price. If the sale price does not feel right, don't buy! is the official Resort web site for new pin releases, events, trading news, and other web links. is a web site that is updated with pin release dates for all of the resorts and cruise lines as well as pin trading nights and other important pin events and pin releases. This site also has pin info. boards with important information on scrapper and counterfeit pins, as well as posting boards where you can ask questions about pins you have, framing techniques or any other aspect of the pin trading hobby. Another important asset Dizpins has to offer is a reference center for traders and sellers. You can check a person's history of trading or selling by imputing their email address at the reference center to see how many registered successful trades or sales a member has made. is a data base of all known Disney pins, buttons, trading accessories, etc. The website offers info about where the pin came from, what its cost was, if it was a limited edition, cast member only, or a general release pin or counterfeit. You can search by key word, or if you find the pin and have the ID number you can look it up by that number as well. Anyone can add a pin to the data base as long as you are a registered user. Pinpics allows you to register a user name with them free of charge so you can catalogue your owned pins/wanted pins/and pins you have for trade. These sites are both free to use and have no advertisements to fund them. They are a great way to fully educate yourself about the pin trading hobby. What is the true value of my pin? The true value of any pin is different for everyone. What you collect is important! There is a never ending supply of Disney Pins to be collected. Take caution when purchasing any pin and always remember to buy what you like and enjoy the hobby of Disney Pin Trading. **We do not claim copyright over this page's content.